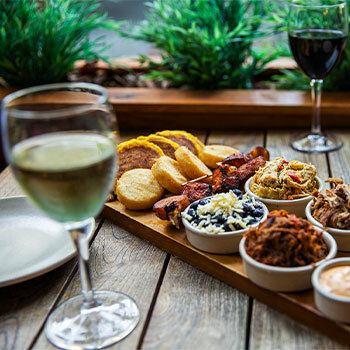 Tender smoked rump cap steak, grilled free range chicken tenders, our signature chorizo, congri, yuca chips, and our delicious AFG guasacaca sause. Mini empanadas filled with four of our signature flavours; Shredded beef, chicken with bacon and cheddar, beef with black beans and feta, and a tasty combination of cheddar and feta. Served with the sauce of your choice. 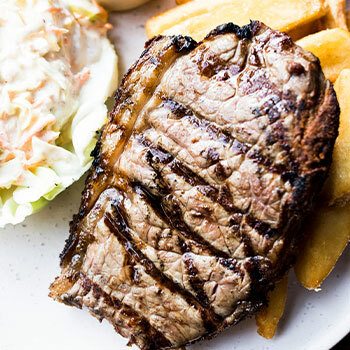 500g of all our cuts of beef: Eye fillet, porterhouse, and rump cap, with morcilla (black pudding), signature chorizo, yuca chips, corn on the cob, congri, avocado and chimichurri sauce..
Smoked and grilled eye fillet, grilled free range chicken tenders, garlic sautéed prawns and squid, chips and chimichurri sauce. Vodka, Cointreau, Lemon juice and cranberry juice. Vodka, Kahlua, Frangelico, cacao cream and and espresso. 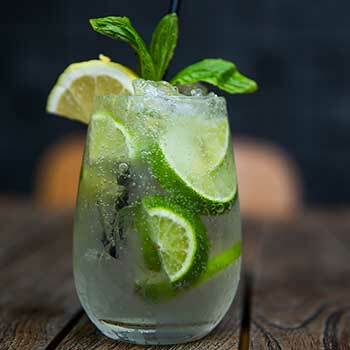 Vodka, Ginger Beer and Lime juice. Gin, Tonic water, Lime and Passion fruit. Owners Sergio and Gilda always had a passion for food. 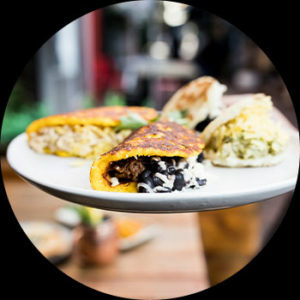 After moving to Perth they started their business, with their Amazing food stall at markets around Perth, selling arepas & cachapas. 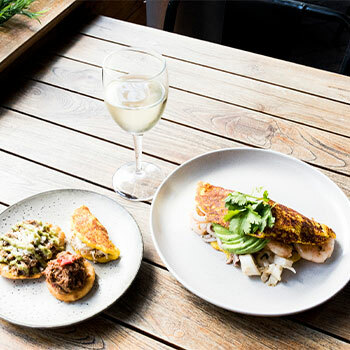 After receiving incredible reviews from many different customers, in 2016 they knew Perth was ready for a larger range of delicious and exotic Venezuelan cuisine, and Angel Falls Grill was opened. 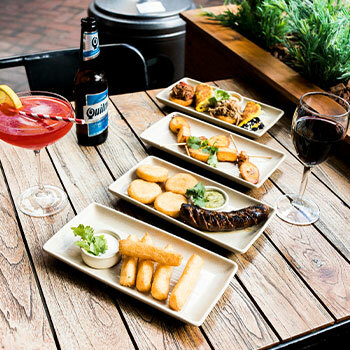 Welcome to Angel Falls Grill, we are Perth’s only Venezuelan restaurant conveniently located in the heart of the city tucked away in Shafto Lane. 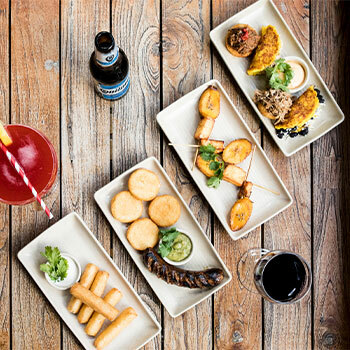 The Angel Falls Grill experience is based on authentic and unique Venezuelan food that will delight your senses. 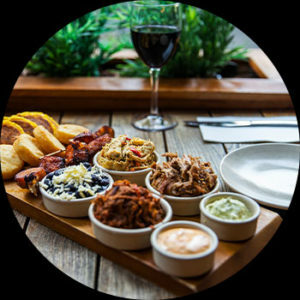 Our mouth-watering menu ranges from exquisite cuts of tender meats slowly cooked in our smoker and caramelised on our sizzling grill or parrilla, to exotic gluten free corn based dishes such as arepas, cachapas, or empanadas. 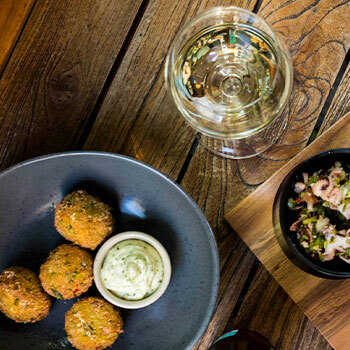 Walk-ins at Angel Falls Grill are always welcome, but bookings are recommended Friday – Sunday as we can easily be fully booked towards the end of the week. Please see our online booking system below to book your table. Stay updated with what’s going on at Angel Falls Grill. Is a table-top mountain or mesa found in the Guiana Highlands of South America, especially in Venezuela. This is a Venezuelan term for mate, buddy, pal, or friend. Copyright Angel Falls Grill ©2018. All rights reserved.